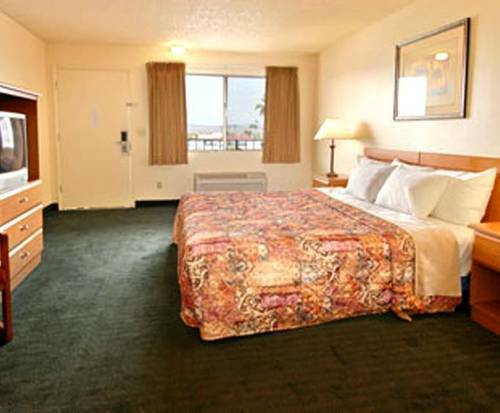 The Days Inn Lake Havasu is located near the pristine Lake Havasu and Colorado River. The inn's outdoor pool provides much-needed relief from Arizona's hot sun. You could get good cardio and strength workouts at the on-site gym. Each morning, you could grab a free breakfast that features omelettes, bacon, yogurt, pastries and many more fresh items. The Days Inn Lake Havasu is only a short drive away from the London Bridge Beach and Lake Havasu State Park, some of the most popular green spaces in Lake Havasu City, AZ. 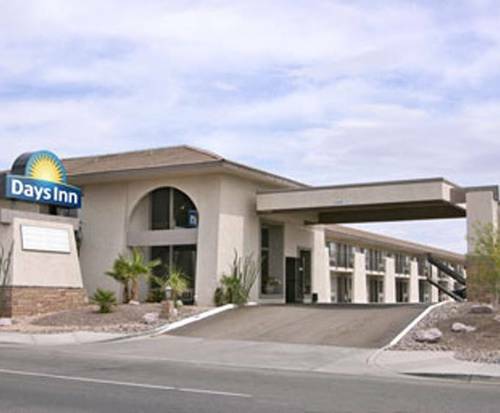 The Days Inn Lake Havasu has a light-colored facade that is in harmony with the arid landscape of Arizona. You will also admire the tropical-themed artwork in the common areas and guest suites. 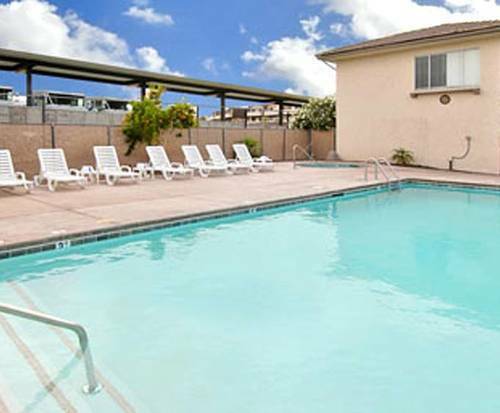 On balmy afternoons, you will want to plunge into the inn's outdoor pool that is nested in between multiple buildings. Of course, you can also find a comfortable position to sunbathe in at any of the lounge chairs that line the spacious poolside deck. Every room in the Days Inn Lake Havasu has a color TV that shows cable or satellite programming. High-speed Internet connections are also included as a high-tech amenity in all guest rooms. Some suites come with kitchenette appliances like mini fridge and microwave oven. 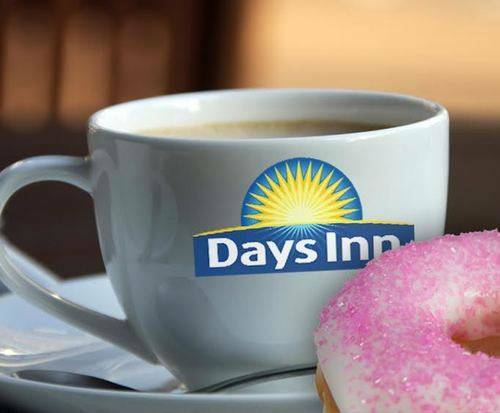 You can also brew your own coffee or make tea thanks to a coffee/tea maker that is included in all rooms. The Days Inn Lake Havasu is within a mile of dozens of stores and restaurants that line the heavily-commercializes McCulloch Boulevard. Additionally, this inn is less than five miles away from the Shops at Lake Havasu, which features multiple department stores and other chain retailers.